Over the last few years, we have seen a number of farms that we work with start milking some or all of their herd four times a day (4x). This has provided an excellent opportunity to learn what has and has not worked on these dairies. While each dairy is unique and has individual challenges, we wanted to provide some of our overall findings for your consideration if you are thinking about milking 4x. Reduced circulation in fresh first-lactation cows can predispose them to hemorrhage in the teat. It has been our experience that the transition from 3x to 4x will result in more bimodal milk flow curves on individual cows if the milking routine stays the same or is not consistent. 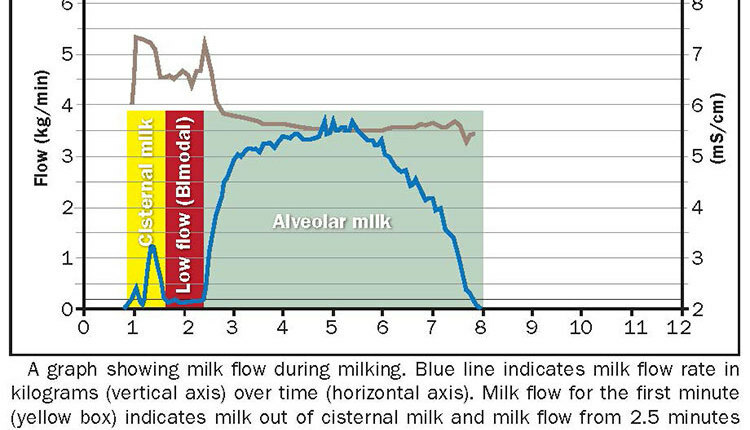 Bimodal milk flow means that, for most dairies, the time in low flow (less than 2.2 pounds or 1 kilogram per minute) will increase. Therefore, the risk of teat damage also goes up. The industry goal is that cows spend less than 1 minute per day in low flow. For a 4x herd, this means less than 15 seconds per milking, which can be hard to achieve. A good, consistent milking routine that provides adequate stimulation and proper lag time is paramount to success when milking 4x. If your current routine on 3x is not resulting in excellent flow rates such as a 2-minute milk of at least 15 pounds, we would recommend that you correct this first before going to 4x. On 4x herds with full parlor data, we have been able to document that extending the lag time from 90 seconds to 120 seconds has resulted in less bimodal milk flow curves, higher 2-minute milk, and shorter unit on time. It should be noted that this was not a controlled experiment but rather observations after changes on several large farms that successfully milked 4x for over a year. If at all possible, try to stay on even intervals between milkings. For a few herds that were only milking selected groups 4x, it was difficult to maintain a 6-hour interval, and the parlor data clearly showed more time in low flow on the milkings with a 5- versus 7-hour interval. This means more risk of teat damage on the milkings with a shorter interval. Strive to keep vacuum levels on the low end of the recommendation for the liner that you are using. A baseline average claw vacuum at peak milk flow should be performed on 3x if it has not been done. After the first week on 4x, the average claw vacuum at peak flow should be repeated. It has been our experience that, because 4x herds are harvesting less milk per cow with likely lower peak flow rates on an individual milking, the average claw vacuum rises with the transition to 4x. In most situations when the whole herd is on 4x, we have adjusted the system vacuum down to bring the average claw vacuum at peak milk flow to the same level as it was on 3x milking. If only select pens are being milked 4x, this needs to be discussed in more detail with the dairy and a decision made on whether to change the vacuum for all cows to compensate for the 4x milking of some. We recommend that you rapidly adjust the automatic takeoff (ATO) settings so that the milking units are removed much quicker. Remember that the goal of any milking is not to harvest every last drop of milk from the cow since she is constantly producing more milk. This is especially true with 4x, as these cows will be back in the parlor in 6 hours. 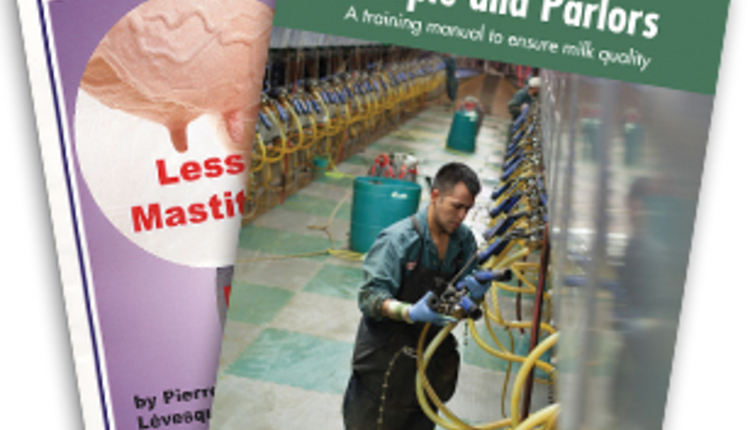 Adjusting the ATOs to remove milking units quicker helps to minimize the risk of teat damage at the end of milking. Since each equipment manufacturer has different parameters for their ATOs, it is difficult to make one recommendation. Recheck strip yields (hand strip each quarter from 30 cows for a maximum time of 15 seconds immediately after milking unit detachment) in one to two weeks. With this data, continue to adjust until 80 percent of cows have between 150 to 250 mL (approximately ½ to 1 cup) of milk left from all four quarters. 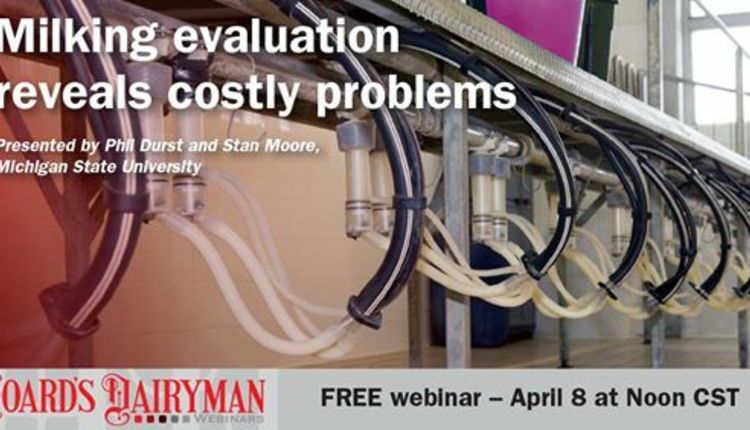 Fresh cows, especially fresh heifers, can get into trouble with teat damage on 4x milking. The blood flow is poor in the teats of fresh animals. 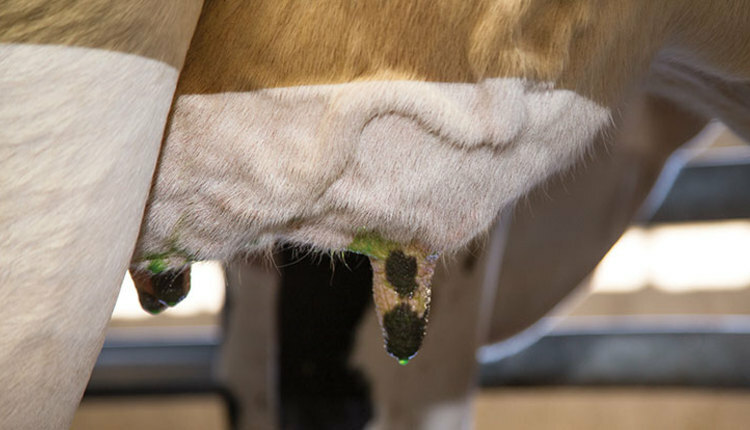 Adding another milking and more time in low flow can quickly escalate the situation by elevating the edema at the teat end during milking. The amount of milk harvested per milking in these fresh heifers can be very low, and therefore the udder pressure is reduced. This can lead to lower flow rates that translate to teats being milked at higher vacuum levels compared to their herdmates. It has not been uncommon to see hemorrhage in the teat ends of fresh heifers milked 4x as shown in the photo. This damage to blood vessels does not correct itself by the next milking. Some farms have milked very fresh heifers two or three times per day for a short period of time until the circulation in the teats and udders improve and the animals have adjusted to the milking routine. Some other considerations are to make sure that unit alignment is consistently resulting in even weight on all four quarters to prevent one quarter from milking slower and holding the unit on longer. Also, minimize the number of units that are put in manual mode. Keep reattached units to a minimum as this can also increase the risk of teat damage. 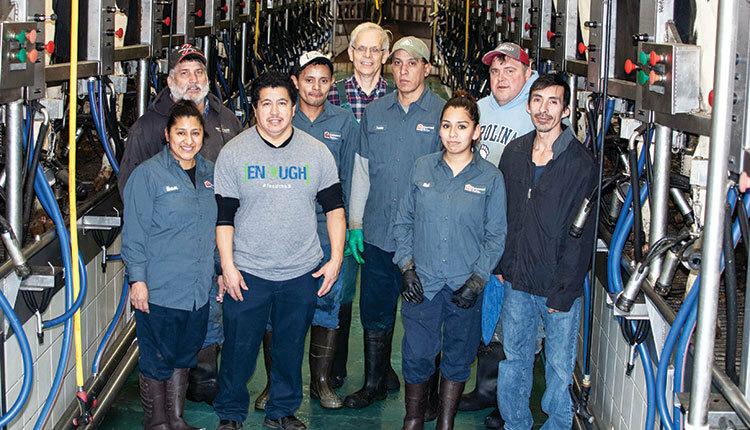 Our goal for both parameters is less than 2 percent of the entire milking herd. 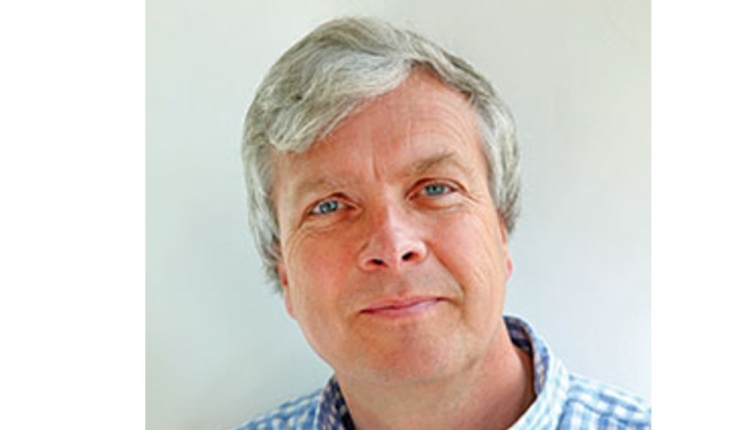 Is the risk of mastitis less on 4x? 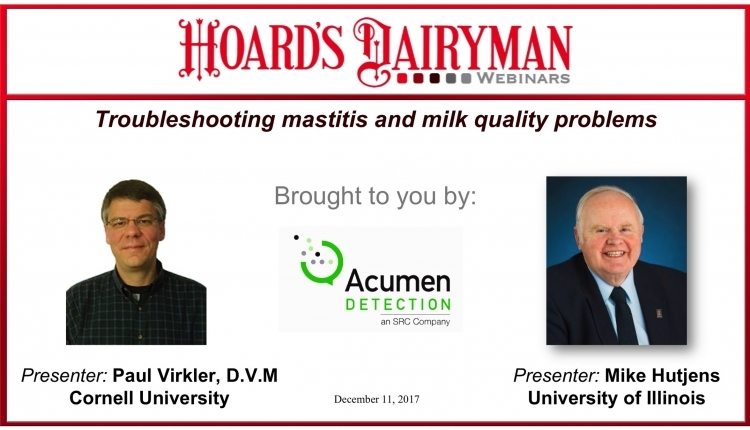 In our experience, though, most herds do not experience a sustained reduction in clinical mastitis. 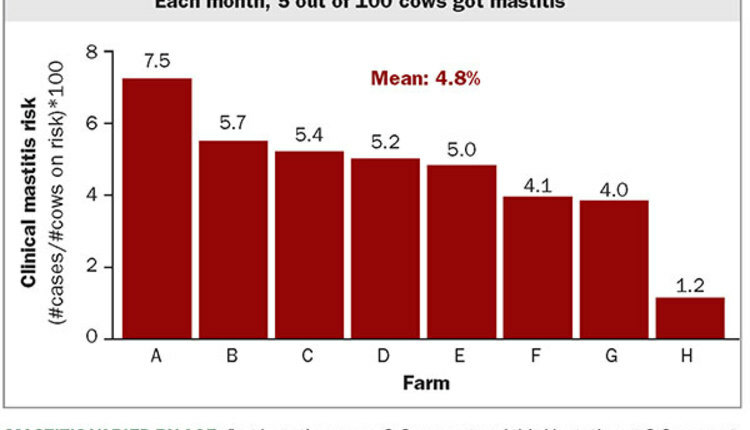 In fact, the risk of mastitis is greater on 4x herds. 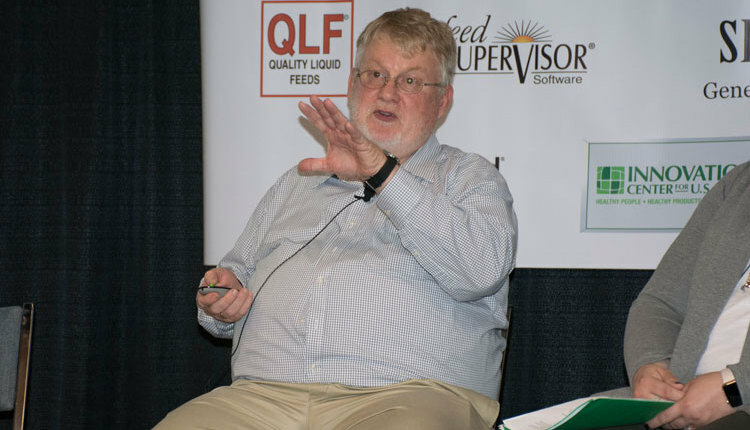 This has been especially true in herds where the 4x milking schedule resulted in a significant jump in “parlor pressure” and milkers were no longer able to sustain a high-quality effort in teat end cleanliness and teat coverage of pre- and postdips. Controlling the risk of teat damage is critical on all dairies but becomes paramount on dairies milked 4x. This can be done by paying attention to the milking routine, milking intervals, vacuum levels, and ATO settings. All farms considering the switch to 4x milking should have a milking time audit completed where the milking routine, system settings, teat health, and milking time parameters are baselined prior to switching. Consistently monitor this same information after the switch to 4x to quickly identify and resolve any issues that arise.